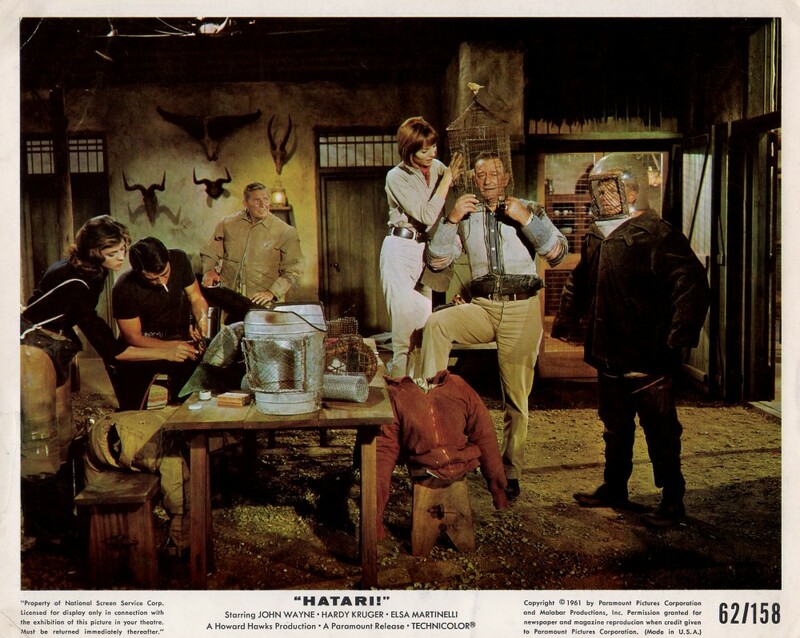 The Hatari (1962) work group is missing Elsa Martinelli. I don’t know the older gentlemen cut off on the left. Red Buttons can’t bear to look in a scene from Hatari (1962) with John Wane and Gerard Blaine. John Wayne and Gerard Blaine behind the scenes in a publicity still for Hatari (1962) with a crew member. Gerard Blaine and Michele Girardon see something humorous. probably involving a wild animal, in Hatari (1962). Hardy Kruger as Kurt Muller and Gerard Blaine as Chips Maurey on location in Africa for Hatari (1962). Gerard Blaine and John Wayne in a publicity still for Hatari (1962). Gerard is the only actor to work with both Howard Hawks and Jean-Luc Godard. John Wayne supervises target practice in an original publicity still for Hatari (1962). No animals were shot during filming. a successful catch in Hatari (1962). It looks like John Wayne’s right foot is stuck in the head of a dummy in an original publicity still for Hatari (1962). 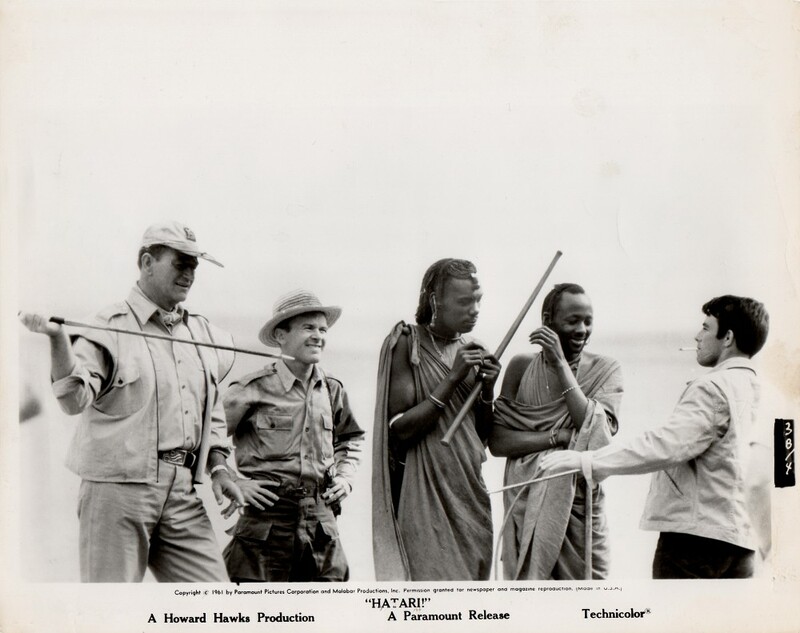 John Wayne, Red Buttons, Gerard Blaine and members of the Warusha tribe in a publicity still for Hatari (1962).